Amazing Facebook Messenger Features that you are unaware of. Facebook, always put in continuous efforts to make its users, not only just use the Facebook App but also, use its Messenger service. A constant effort is put to make customer use the Messenger app not only for texting purposes but also for the other enhanced features it provides. Facebook has introduced a bunch full of exciting and useful features that one can use for utilizing the app to the fullest. Using Messenger only for texting purpose is a big No, and if you are, then you are missing some really new and wow features. 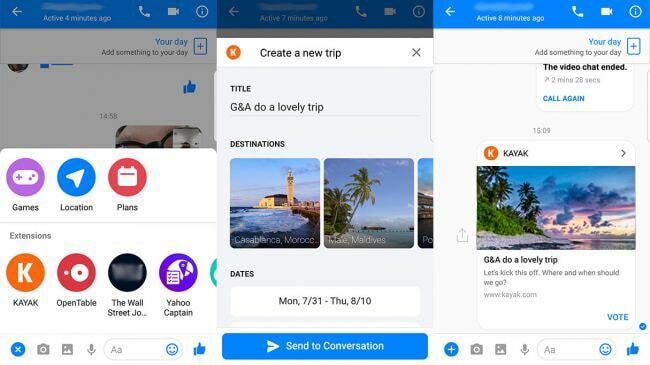 In this article, we try to list some of the coolest and amazing Facebook Messenger features that you probably didn’t know. Let’s read them one by one. Doesn’t it seem difficult to make programs with your friends. With Facebook Messenger, you can now make team plans by using the chat feature. 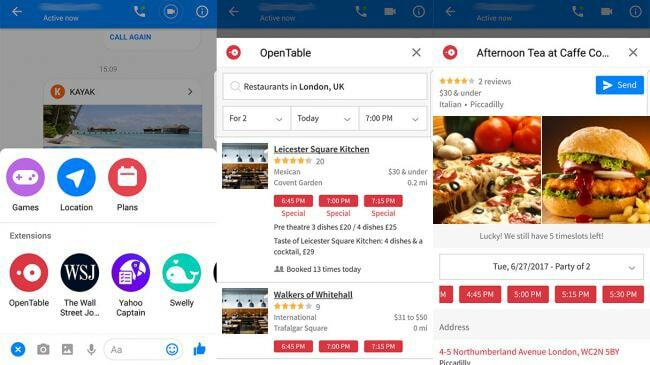 With Facebook Messenger, you can easily add friends to group chats and make movie plans or hang out with your friends at your favorite restaurant, or simply talk about your day. To use this feature click on the blue “+” (Plus) icon located on the bottom-left side of your device’s screen. Here open the OpenTable app. Here you can discuss what’s interesting and you can also share the booking details. 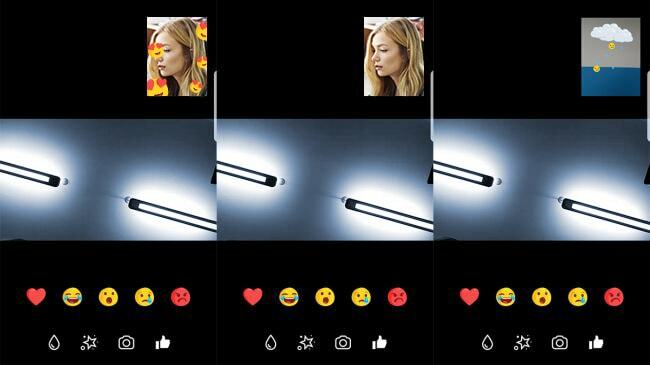 Facebook also provides a feature where you can add emoji reactions on your face while in a video chat. While video chatting, ample options are presented at the bottom of the screen. From these option, you can easily add emoji’s like add masks, emoji reactions, and filters. Another amazing feature that Facebook Messenger provides is the ability to create shared Spotify playlists. Yes, you heard it right! 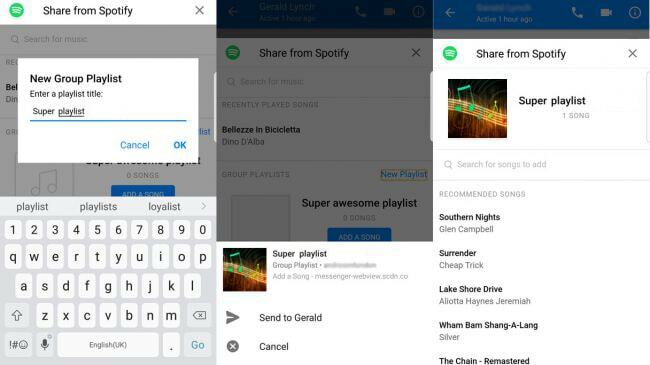 With Facebook Messenger, you can now create a group playlist on Spotify. Create a group with the people you want to have control over the playlist. Now, click on the blue Plus icon on the lower-left corner of your device’s screen. You can now create a playlist and share it with the group. However, there is one limitation to this feature. Currently, you can only add one track at a time in the Messenger extension of Spotify. Are you looking for a platform where you can share sensitive information with someone? If yes, then you are at the right place. 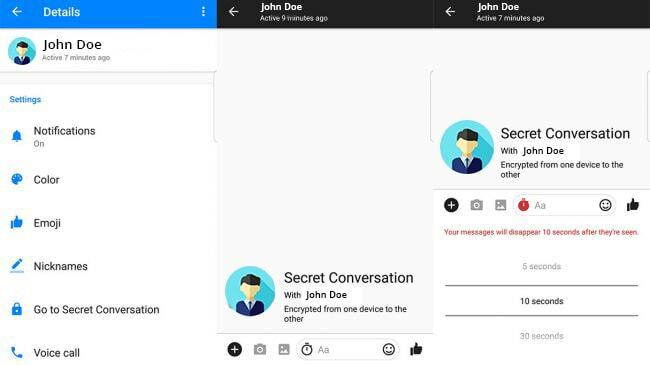 Since Facebook has stopped permitting you to send in-app messages, its Messenger app permits you to send secret messages. The messages sent disappears after a definite period. This feature can be used in two ways. A new message can be composed and then the symbol with a padlock can be toggled on. Subsequently, the app will change to a darker color. Alternatively, if you’re already in a conversation with someone and you want to start a conversation with, just click on the ‘i’ logo on the top-right corner of the screen and then tap on Go to Secret Conversation. Facebook Messenger is a great platform to get vacation suggestions. The extension named KAYAK is an amazingly easy way of sharing ideas with your groups. With this you can search for hotels or flights. Not only this, you can also create a poll of shortlisted destinations and share it with the group of people so they can all vote. In the chat click on the blue Plus icon on the bottom-left side of the screen and then click on the KAYAK logo. Now a days, it gets difficult finding someone on Facebook since there are zillions of people sharing the same name. Facebook Messenger provides a solution to this tedious task of searching for your friends and connecting with them. A new chat can be initiated easily with your friends as every user has their own unique Messenger code. 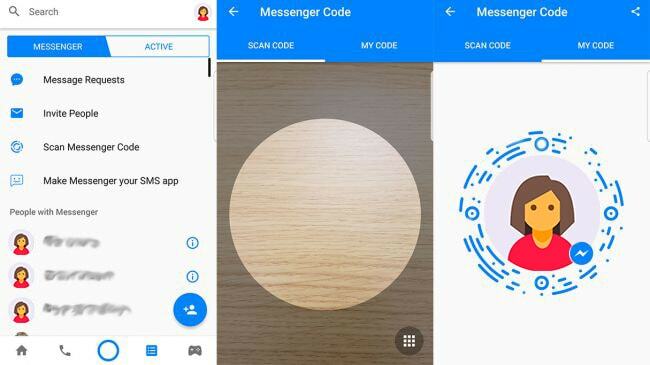 To scan a Messenger Code, tap on the blue square icon on the bottom of your device’s screen. Post this, tap on the scan messenger code. Once you have finished, you can either take a photo of a code or display your own. Just point your phone’s camera at the code and you’re in a chat. So, these were the list of 6 amazing and simple features of Facebook Messenger that you can use and get familiarize with it.